Provide comfort for the family of Francis McCoy with a meaningful gesture of sympathy. 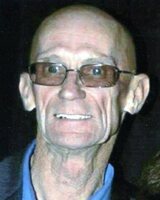 EAST LIVERPOOL – “Chip” Francis McCoy, 68, of East Liverpool passed away Thursday, November 29, 2018 at his home after a short battle with cancer. Chip was born in East Liverpool, Ohio on October 8, 1950 a son of the late Bert and Sara M. “Sally” Yantz McCoy. He graduated from East Liverpool High School in 1970. Chip was a resident of this area all of his life. He worked for Crucible Steel and retired from Laborers Local Union 809 in Steubenville. Chip was preceded in death by his wife Barbara A. McCoy. Surviving are his son Chad F. McCoy of East Liverpool; three step-sons Cory Rose of Highlandtown, Lawrence H. “Larry” (Alex) Sprouse, III of Pittsburgh, and Jason (Anita) Sprouse of Monroeville, Ohio; sister Linda (Larry) Fahl of Youngstown; two brothers Gary J. (Lynn) McCoy of Hanoverton, OH and Marvin J. (Elaine) McCoy of East Liverpool and many nieces and nephews. Friends may visit Monday afternoon and evening at the Dawson Funeral Home where the family will be present from 2 to 4 and 6 to 8 p.m. Evangelist Will Montgomery will conduct a funeral service Tuesday at 10 a.m. at the funeral home. In lieu of flowers memorial contributions may be directed to Community Hospice, 2341 East State Street, Salem, OH 44460 in memory of Chip. To send flowers in memory of Francis Bertman "Chip" McCoy, please visit our Heartfelt Sympathies Store.